The infrastructure center provides a virtual desktop environment for RedHat EnterPrise Linux. This virtual desktop environment is centrally managed by the infrastructure center and automatic backup is also maintained. Please check below for usage. 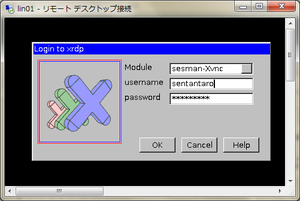 Please contact us by e-mail at isc-query@jaist.ac.jp for your installation questions and how to use it, etc. If you are using a personal PC or thin client distributed by infrastructure center, you can connect via Remote Desktop. 1. In the case of Windows XP, 7, Remote Desktop Connection Client is in one of the following locations. 2. Enter one of the following "lin01", "lin02" or "lin03" in the hostname. 3. You will be prompted for authentication again. Please login with your username & password. In case of using IBus. 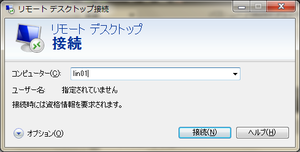 By default, you can switch between Japanese and English by pressing Ctrl + Space. Please change other settings from System - Preferences - Input Method from the menu bar at the top of the screen. For system keeping, we will restart these devices at the following schedule. We apologize for any inconvenience, but thank you for your understanding. The home directory of the virtual desktop environment can be accessible from other terminals via the network. For details please check here. Currently, there are no plans.